LeftFieldLab New Ventures Design Studio was founded in late 2017 by Ulrich Meyer-Höllings and we partner with subject matter experts from our networks depending on the specific venture design & innovation challenge. Over the coming weeks we will start adding more people profiles to this section - so watch this space. Before founding LeftFieldLab Ulrich was joint-managing Partner at FXD Digital in Cape Town – working with large organisations to unlock adjacent or new business opportunities through structured incubation and corporate venturing efforts. Previously he was also a Partner at XYZ Design - an award wining industrial design company from Cape Town that works across Africa to find specific solutions to our continent’s challenges. Other previous experience includes being a Senior Associate at Deloitte Consulting Innovation Practice in Johannesburg and heading up the german office of ReD Associates - a leading global design thinking & innovation strategy consulting business. Ulrich has worked with MTN (e.g. TYME), Old Mutual, Vodacom, Kagiso Media, Naspers, Equity Bank, Bertelsmann, Deutsche Telekom, BMW amongst other to drive disruptive innovation ventures across different parts of their business. 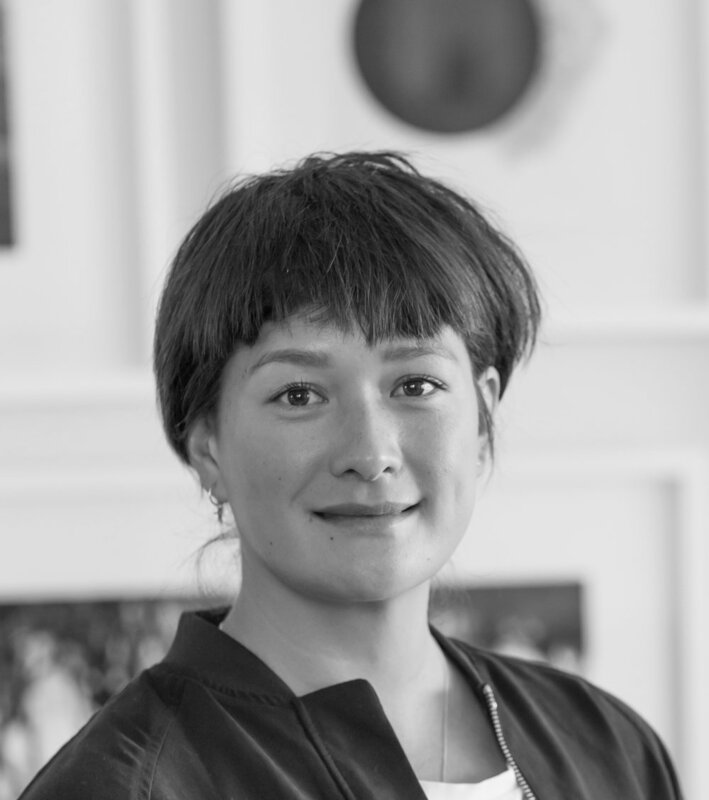 Emma Dicks is passionate about providing high quality education that enables young people to bring innovative ideas to life and play an active role in South Africa’s economy. Emma is the co-founder of CodeSpace, which provides high quality tech education with the vision of enabling young South Africans to leverage technology to drive innovation. CodeSpace runs several coding schools including Code for Cape Town, which introduces high school girls to coding and creative problem and CodeSpace Academy, which trains young people to enter the ICT industry. CodeSpace enables other organisations to initiate and run coding programs in order to rapidly address the skills shortage in South Africa. Emma advocates for tech education through her role as an Ambassador for Africa Code Week. Sibusiso Tshabalala is currently involved with Corporate Communications for a global mining group. He was part of the team that successfully implemented the World Design Capital Cape Town 2014 programme, a global cities-improvement programme administered by the International Council of Cities in Industrial Design (ICSID), which aimed to promote inclusive regeneration and development in greater Cape Town. He then took a role at the Cape Town Partnership, and was responsible for strategy, organizational reporting, stakeholder management and developing alternative revenue streams for to support the work of the institution. In March 2015, Sibusiso became a contributing writer for Quartz (qz.com), a global business news outlet owned by the US-based Atlantic Media. His writing has appeared in the Daily Maverick, Big Issue, TimesLive, City Press and allAfrica.com. He is also a contributor for the popular media commentary and culture blog, Africa is a Country and the Mail and Guardian’s opinion platform, Thoughtleader. Lilian loves to explore and create. As collaborator in the social innovation and design thinking space she has most recently arrived in fintech and is currently product owner in an AI chatbot startup. Projects that Lilian co-launched, managed and consulted on span education, entrepreneurship, sustainability, mobility, health, law, arts and fashion. Lilian is Cape Town based and Berlin born and holds a BSc in International Business from Maastricht University and a MSc in Business & Development Studies from Copenhagen Business School. Partners & clients include Nedgroup Investments, Nedbank Insurance, WiGroup, Virgin Money, Deutsche Bahn, Standard Bank, the African Centre for A Green Economy, the New Economy Accelerator, the British Council, Innovate SA, Clue, the Kaospilots and the Ubuntu Academy. Dillion S. Phiri is a Zimbabwean born South Africa based social sculptor who has made his mark in the African creative industry with more than five years of experience working with a variety of talented youth across the African continent. He is multifaceted creative in the world of photography, consulting, researching, directing, film-making, digital technologies, and fashion. He’s a young creative, father, husband and the founder of Creative Nestlings, a creative network that nurtures, connects and celebrates the youth on the continent and diaspora. He runs this company with fellow creative and wife, Nokulunga Mateta-Phiri. Creative Nestlings hosts conversations on creativity, exhibitions, film screenings and creates spaces such as The NEST SPACE and the J&B HIVE is a funding programme. Through his love for publishing, he has curated the book "What it Takes" - a compendium of creative advice from African creatives. He is also the founder of tuta an on-demand moving app and The Brothers Slimm a clothing based on creative functional menswear for the urban creative. Over the years dillion has worked with various brands, institutions, and governments in regards to harnessing youth and creativity. He also gives lectures on creative hubs, creative economies and youth on the continent at institutions and brands like Goethe Institute, Wits University, British Council, Soul Providers etc. He has been featured on Okayafrica | Superbalist | Fin24 | MediaUpdate | ImprintLab | Bubblegumclubb | Espresso TV, Bush Radio, Khaya FM, Powerfm etc.